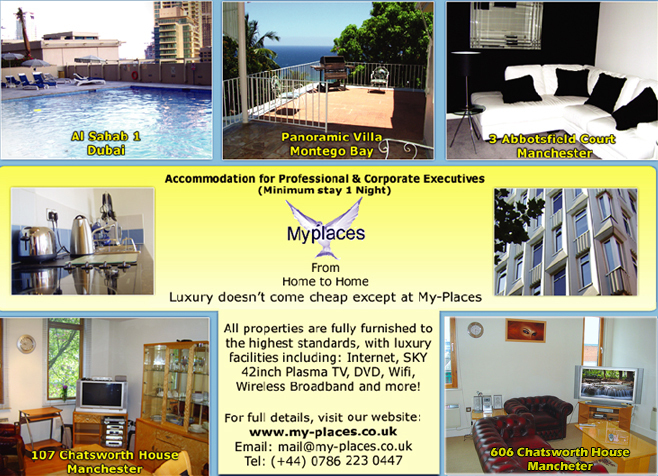 My-Places offers luxurious accommodation available for short term let, mainly in the Manchester area. These properties include apartments to let for professionals, for short term let, at reasonable prices. Please use the links at the left-hand side to navigate the My-Places website. My-Places offer quality apartments available for short term let. Our properties are luxurious and have been especially chosen to offer amenities and great transport links. We specialise in accommodation for short term let in Manchester, as well as corporate accommodation for professional people in Manchester City Centre, Worsley and surrounding areas. If you are looking for Flats to rent in Manchester and surrounding areas, My-Places can accommodate you, whether short or long term stay is what you want. Please click here to view the terms of your stay at My-Places. Please use the links at the top of the page to navigate our site. 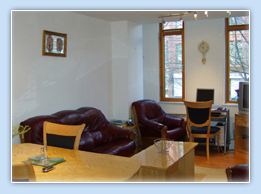 My-Places specialise in the letting of apartments and other properties to professionals on a short term basis. To view our current catalogue of properties and apartments available for short term let, the 'Our Properties' link is where you should go. From here, you can see which properties and apartments are currently available at My-Places, which apartments and properties are currently occupied and, if they are, when they are expected to be available for short term let. You can also pre-book a property or apartment from My-Places, either through this website by clicking the 'Contact Us' link or by contacting us on +44(0)161 227 9444. Be assured, properties and apartments from My-Places are of the highest quality, well-kept and luxurious, perfect for professionals. They are designed to be the perfect residence for a corporate professional, whether short term or long term. We are currently offering our best accommodation for only £85 per night. Included in this price are bills, several luxuries including a stereo system and satellite television, and plenty more. For the price of a hotel room, you will get two bedrooms, an En suite with a shower, kitchen, living room and bathroom. In addition, all of our properties are fully furnished with the latest furniture and appliances. Very contemporary in design, our properties are also modernised and very stylish, especially for the young professional. We currently have a few properties to offer, with a view to expand our selection in the future. Keep checking back, as we have over ten properties that we plan to make available to let very soon. 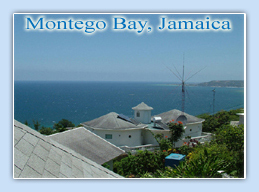 From Manchester to Jamaica, we will offer accommodation for the professional and even the holiday seeker! Please, by all means, contact us with any enquiries in which you may have - we are always willing to help in any way we can!